A man (Christoph Waltz) finds a robotic girl (Rosa Salazar) and they try to find the truth about her. 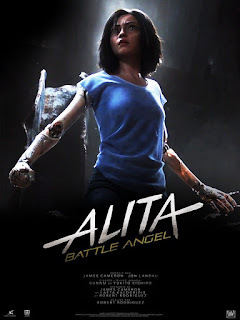 The film is based on the manga Gunm by Yukito Kishiro, is directed by Robert Rodriguez, co-writen by James Cameron, and also stars Jennifer Connelly, Michelle Rodriguez, Eiza González, Mahershala Ali, and more. 'Alita: Battle Angel' releases February 14, 2019.